As the city prepared to mark national Freedom of Information Day and Sunshine Week, newly released documents reveal that District Attorney George Gascon failed to respond to the city’s Ethics Commission on any referrals for action on violations of the city’s Sunshine Ordinance. CitiReport obtained records through a February 21 Immediate Disclosure response from the Ethics Commission for all referrals sent to the District Attorney in 2009, 2010 and 2011. Ethics reported seven referrals, including six during Gascon’s administration and one in 2010. Ethics reported that it has no records of any response from the District Attorney on any cases referred to it. The city’s charter requires Ethics to make referrals to the District Attorney in cases where city ethics laws appear to be violated. Gascon’s office denied CitiReport any records regarding Ethics Commission referrals. 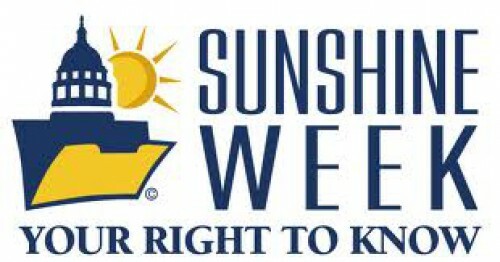 Willful violations of the Sunshine Ordinance can be determined to be Official Misconduct and complaints have a right to sue and receive legal fees and damages. The Ethics Commission provided copies of referrals on Sunshine Ordinance Task Force findings and referrals but denied access to records on referrals of other ethics law violations, including those involving contributions from city contractors, lobbyists and campaign finance laws, among others. The city’s response to the Sunshine Ordinance Task Force findings of violations was faulted in a 2011 Civil Grand Jury report, “Sleeping Watchdog,” that noted Ethics had never held a hearing on any referred Sunshine violation. Following that report, In July 2011, Ethics held its only hearing on a Sunshine violation and referred the record to Mayor Ed Lee with a recommendation that Library Commission President Jewell Gomez be disciplined or possibly removed from office. At the time, Ethics concluded that city commissioners fall outside the Sunshine Law provisions on enforcement and so made the referral to the mayor as the appointing authority. Ethics has not proposed a remedy to close the loophole it identified in July. The Mayor’s office apparently has not acted on that referral. Notably, an August 2011 referral to the District Attorney involved a second finding of a violation by the Library Commission, again involving a violation of requirements to allow public comment. June 17, 2011 from complaint filed against Anne Kronenberg, Dept of Public Health, for failing to send a representative to a Task Force meeting based on Thomas Picarello’s allegation that he was prevented from making public comment at a Single Room Occupancy Task Force meeting and the meeting was illegal. June 17, 2011 complaint that Martha Cohen and Myisha Hervey, Mayor’s Office of Economic Workforce Development failure to provide a copy of the contract for the Giants World Championship celebration outside City Hall on November 3, 2010. August 16, 2011 against MTA for failure to provide documents on a specific coach. February 7, 2011 against Trent Rohrer and Human Services Agency for failure to send a knowledgeable representative to the Sunshine Ordinance Task Force.